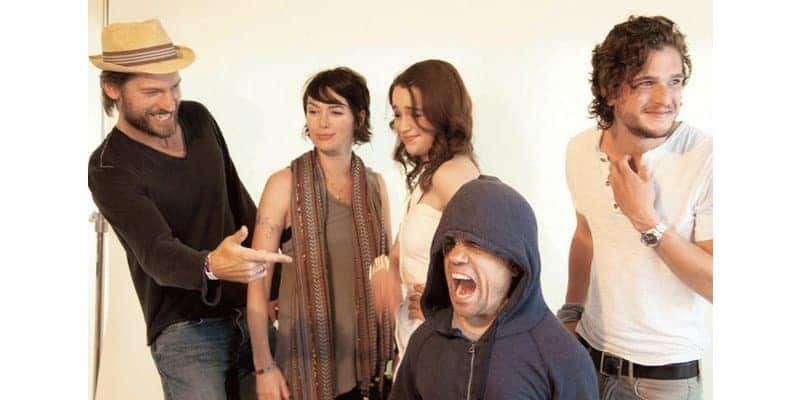 We sometimes forget that Game of Thrones characters are played by actual human beings. 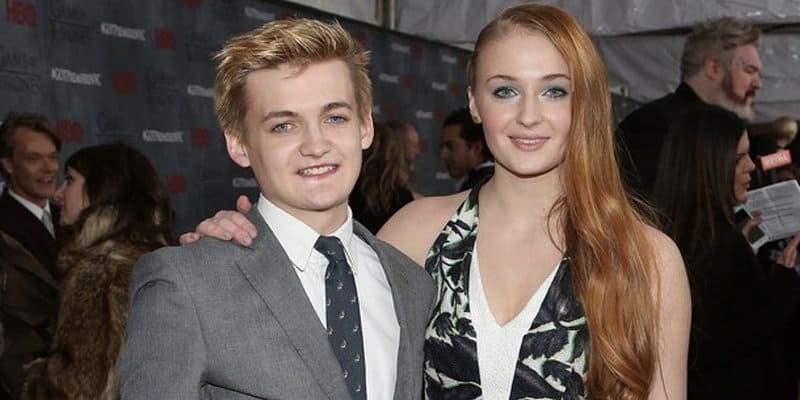 Because of the success of GOT, the likes of ‘Emily Clarke’ and ‘Kit Harington’ have quickly risen to fame; becoming simple nobodys to household names in a blink of an eye. Despite that, these people are just like any one of us! 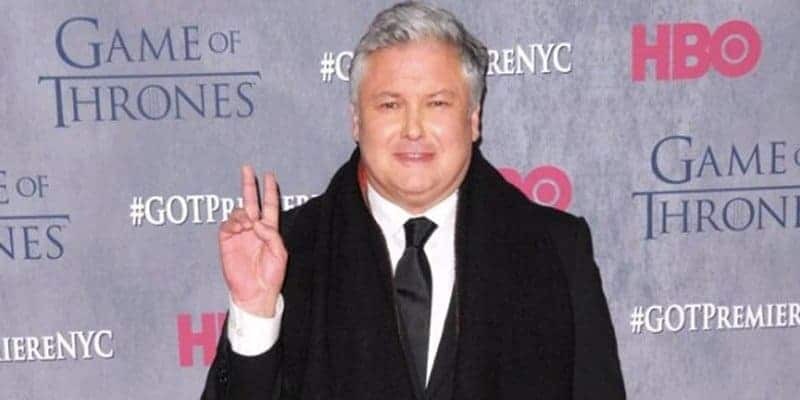 When they’re not being awesome in GOT, they are regular people living regular lives who also love to hang out, have fun and take selfies — all the while wishing George R. R. Martin won’t kill them off this season. 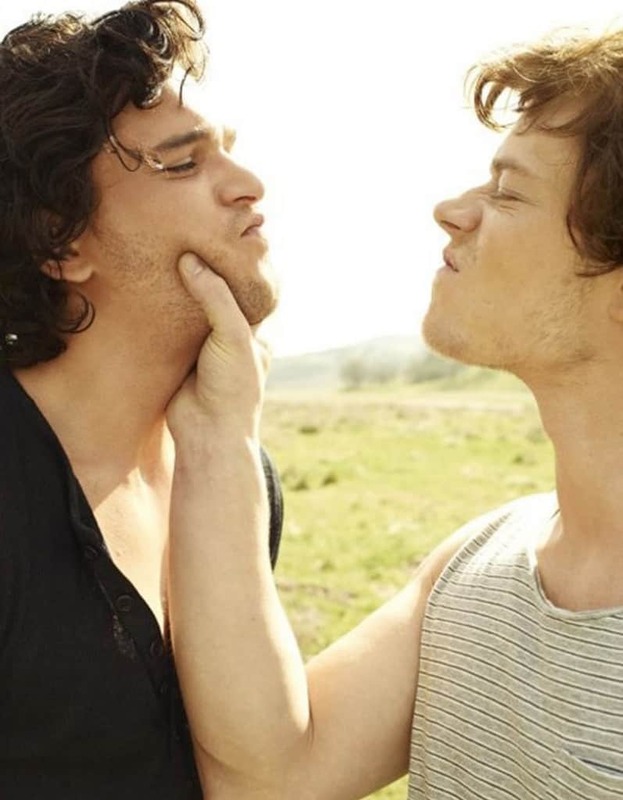 Here are some awesome photos of Game of Thrones actors doing regular stuff with each other. It looks hilarious that they’re being friendly to each other and not trying to kill each other! 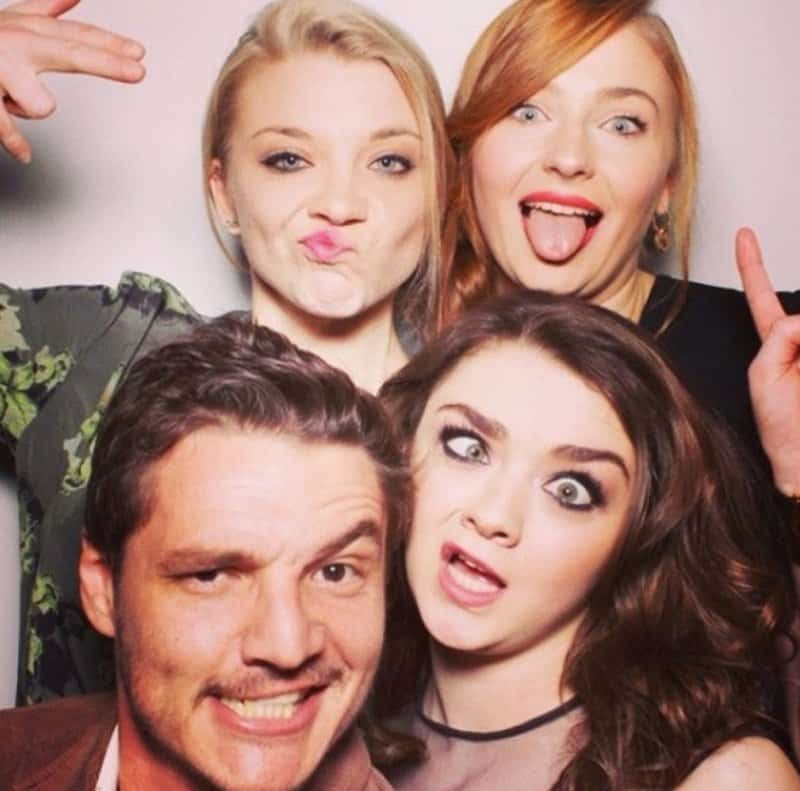 Who would’ve known that the serious cast of Game of Thrones can be such goofs? 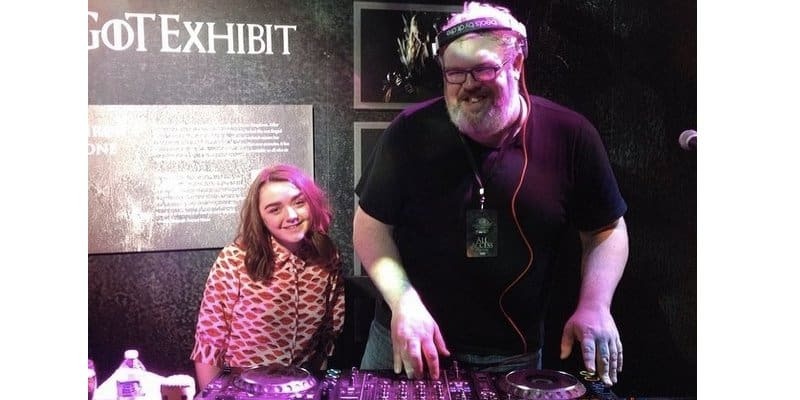 Check out Arya hanging out with the DJ-in-real-life Hodor! 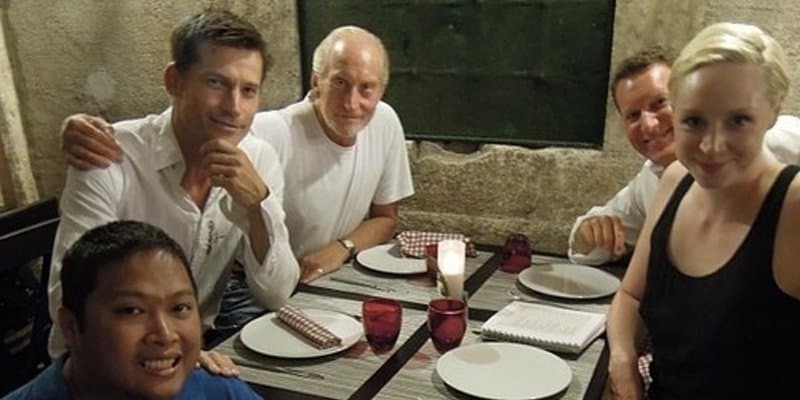 Aww, that’s Tywin, Jamie and Brienne out for dinner… does this look like ‘meeting the in-laws’ to you? 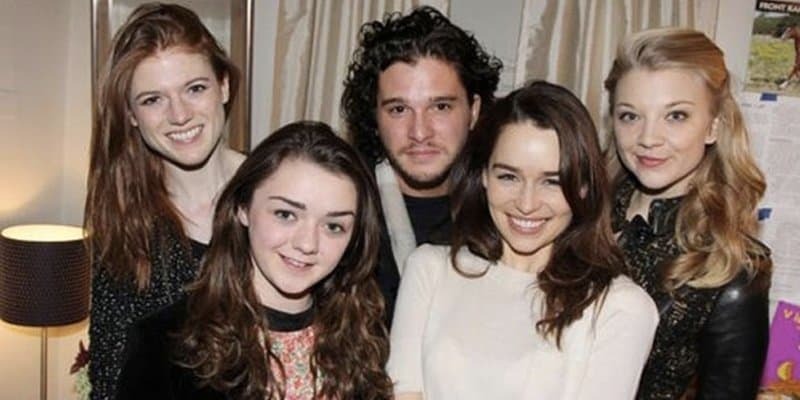 So Jon Snow is quite a babe magnet… no surprise there. The Stark ladies are doing some serious mother-daughter bonding right now — by blowing bubbles! 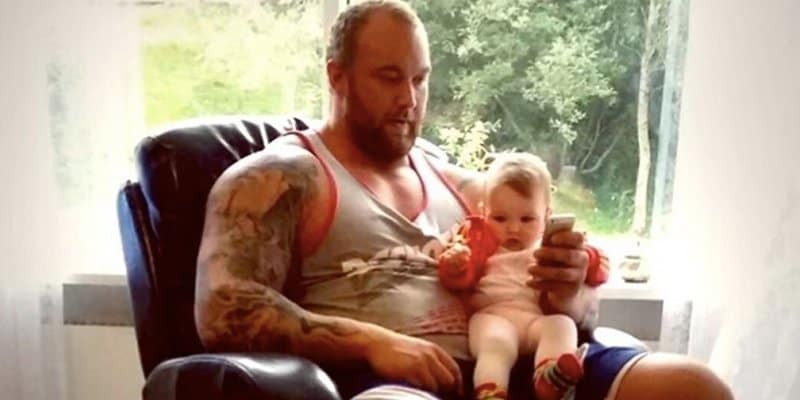 When not busy crushing people, The Mountain is a doting father to his child. 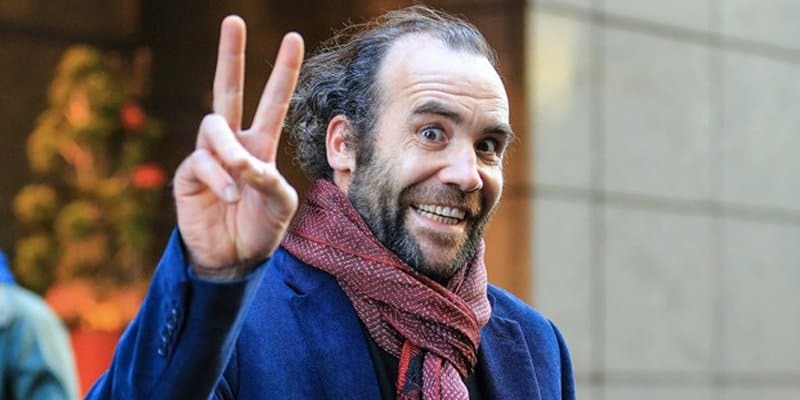 This is weird… The Hound is beaming and doing the peace sign! 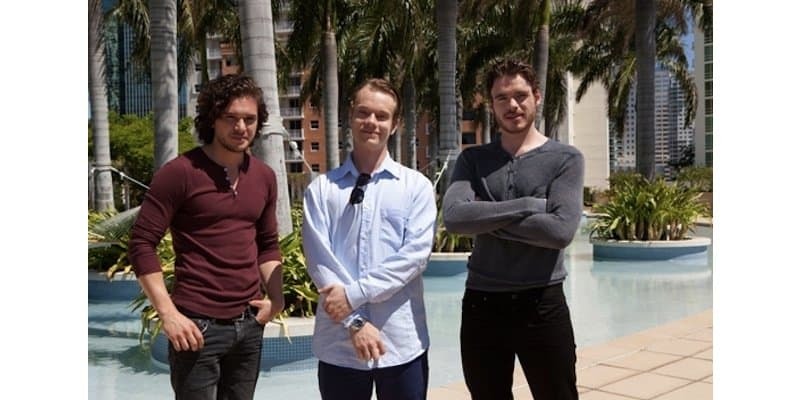 Here’s Jon Snow, Theon Greyjoy and Robb Stark chillin’ by the pool. They’re out somewhere hot and sunny this time for a change. 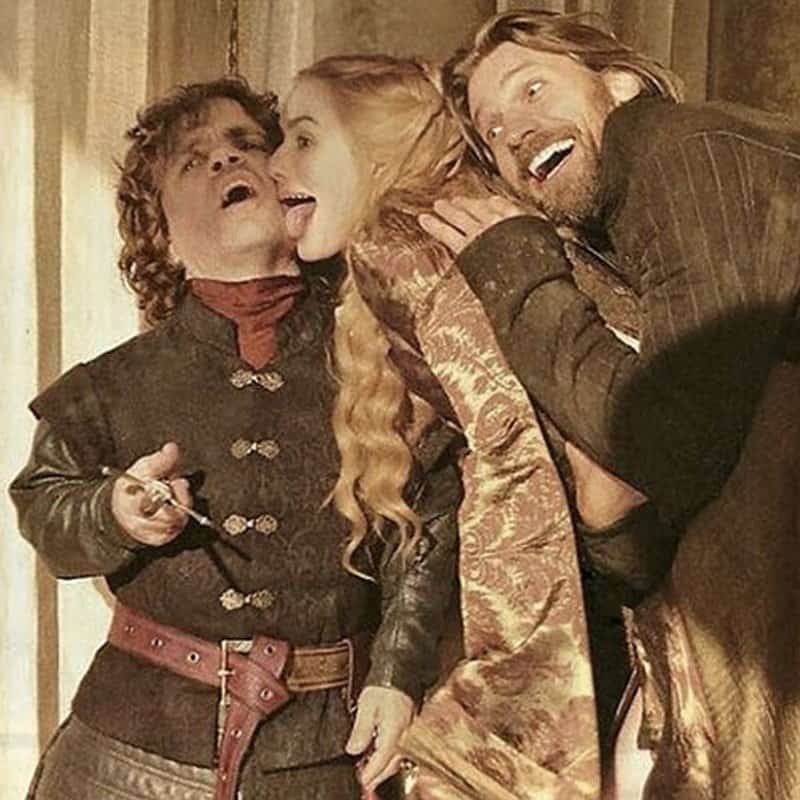 Instead of plotting each other’s downfall, the Lannister kin are showing their affectionately sibling love on a very rare occasion. 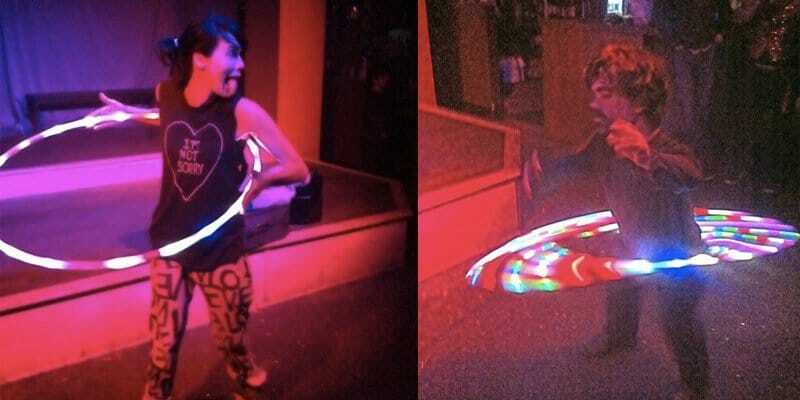 Here’s Cersei and Tyrion taking turns on the hula hoop. Whoa, there’s some serious bromance here between Robb Stark and Jon Snow. They’re actually friendly here and not trying to kill each other. 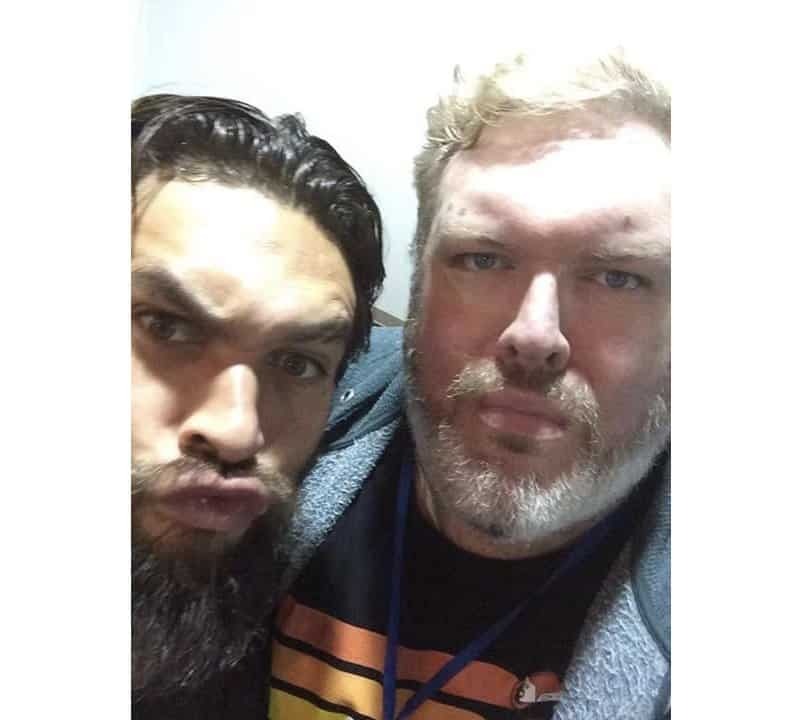 Despite the two being in completely different ends of the realm geographically in Game of Thrones, the two managed to get a selfie! The younger Bran siblings making silly faces in front of the the camera. 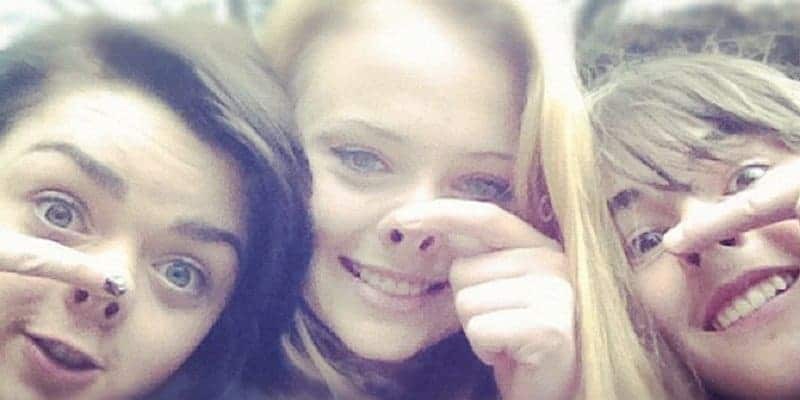 Samwell Tarly must be the luckiest man alive being with two gorgeous GOT babes. 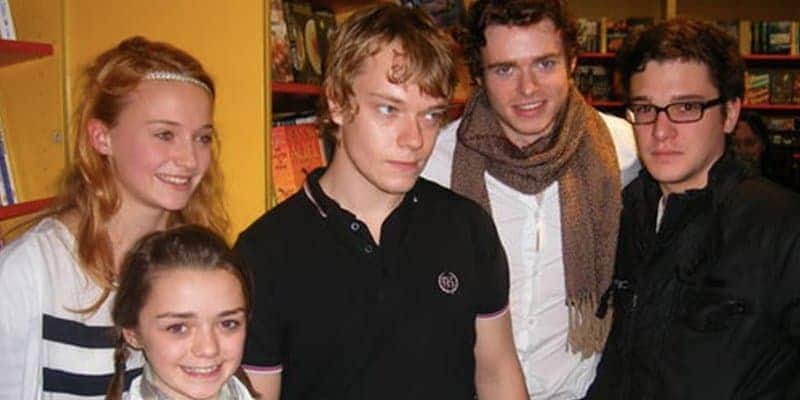 What an interesting throwback picture of the Stark children plus Theon Greyjoy. This was obviously still Season one, before puberty hit them.